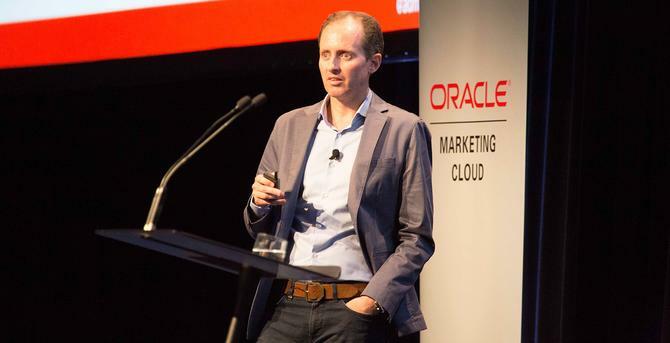 Brands that don’t start contextualising around the consumer in real time through ‘living services’ are at risk of being disintermediated by 2020, Reckitt Benckiser’s chief digital officer claims. According to the FMCG giant’s digital chief, Adam Stewart, ‘living services’ represents the third phase in how digital is transforming the nature of brand engagement with customers. He suggested the first wave was elements being designed around the desktop. Living services are set to again shake up the value chain and prompt further disintermediation as the consumer journey starts to radically shorten, Stewart said. According to Stewart, brands increasingly need either sit on the effortless side of the scale for consumers, or on the highly tailored side. For example, being effortless might involve auto-replenishment, or “ambient commerce”, he said. At the other end of the scale is tailored and high involvement with high brand equity driven by a position of trust and advice. “In a world where things will be highly connected, this is where you need to understand where your business is going to play and where your brand will play in this mix and how products sit in the axes,” Stewart claimed. “Will your brand be able to be embedded enough into the ecosystems not only of your own making, but also external brands to become the default? This is where living services play a vital role. As an example of living services in action, Stewart pointed to sports clothing and shoes producer, Under Armour, which disrupted the sports clothing market with the promise of a new material more absorbent than cotton. “The traditional growth approach for this heat gear and cold gear would go first into T-shirts, then shoes. But what Under Armour’s CEO [Kevin Plank] did instead is start with all connectivity of products in the world. He acquired three business – Endomondo, MyFitnessPal and MapMyFitness – to gain access to IOT devices,” Stewart said. This isn’t just a digital initiative, it’s a fundamental change to the overall value proposition and ecosystem, Stewart said. “It’s the new form of marketing. This is where you’re combining all those verticals across your business – marketing, sales, analytics – all together in one ecosystem and then are able to deliver that to consumer as a new form of living service,” he said. Living services will force brands to look pre the experience of their product, as well as post-experience into adjacent ecosystems Stewart continued. “Under Armour was a traditional manufacturer but leaped and focused on getting connected to the consumer. That gives them a lot of insight they can feed that into the product pipeline, rather than buying that insight,” he said. Another living services example Stewart pointed to was Nike’s On-Demand offering, which employs AI capability, an app, customer insights, a messaging tool and real-time human creativity to encourage athletes to achieve their individual fitness ambitions. To support a ‘living’ brand organisation, Stewart advised organisations to foster small cross-functional teams with autonomy, and noted Nike’s example showcases this in action. It also required organisations to embrace a culture centred around the customer, and to improve agility so they can flex and evolve at the customer’s speed.